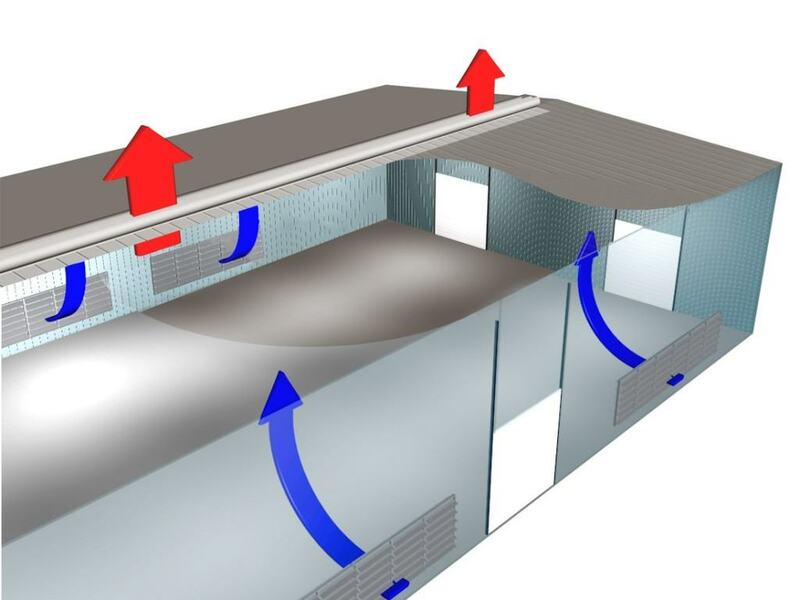 A Natural Ventilation system utilizes a ceiling opening for warm air, along with a natural intake for fresh supply air, to create a cooler and more comfortable building envelope. Warm air naturally rises, a natural ventilator just allows it to escape. A Natural system has zero operating cost and zero maintenance costs. It is the natural solution for building ventilation. 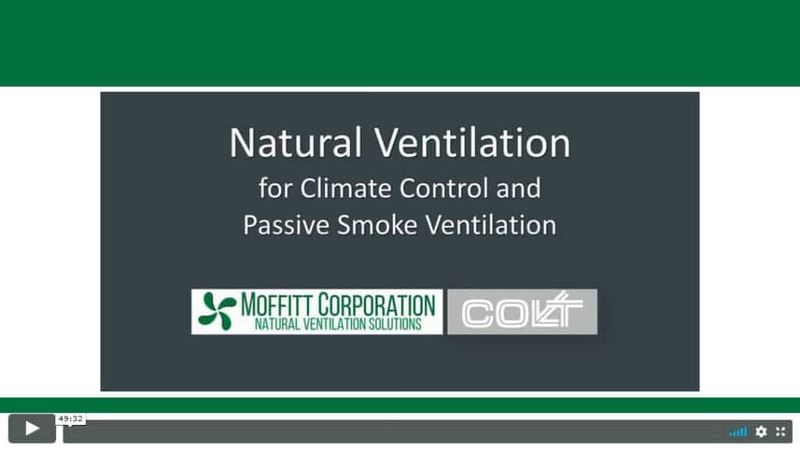 Moffitt has been designing natural ventilation systems for over 55 years. We utilize advanced ventilation design techniques, such as CFD computer modeling and wind-tunnel testing, to find the right solution for each and every project. The Moffitt team has implemented natural ventilation systems in hundreds of facilities in dozens of industries. Natural ventilation systems utilize non-powered, passive exhaust equipment (MoffittVent™ or Labyrinth) along with passive intake devices (EcoStream wall louver) to make a building cooler and more comfortable. Watch our free, one-credit-hour steaming video course about Natural Ventilation at the link below. Moffitt Corporation supports continuing education. The one-credit-hour course is free of charge and available with the push of a button. Click, register, and you're on your way. You can earn 1 AIA-approved CE credit by watching this in-depth 50 minute video about natural ventilation science and practices. While this course is specifically about climate control and passive smoke ventilation it is also a great explainer on natural ventilation in general.